The Mazda MX-5 comes with a few notable changes for 2018. A cherry red soft top is offered as an alternative to the standard black soft top. Interior upgrades like a 7-inch touch screen infotainment system, HD radio, and keyless entry are now standard features for the base Sport trim. Further additions include familiar paint schemes like Eternal Blue Mica, Soul Red Crystal, White Pearl Mica, and Machine Gray Metallic. Though the MX-5 is pretty quick, its primary purpose is not necessarily about speed. The Miata is all about agility, fun and engagement and as a result most of its performance is derived from its lightweight chassis rather than from a big, overpowered engine. The current MX-5 convertible tips the scales at about 2,300 pounds, incredibly light by today's standards. 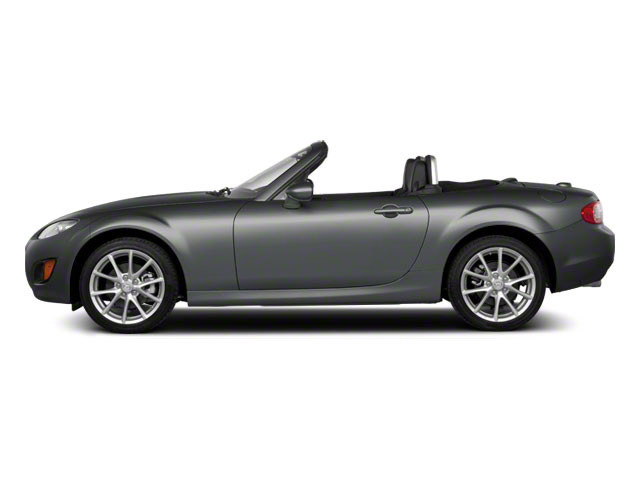 That lightness combines with rear-wheel drive to make the Miata one of the best handling cars on the road. The MX-5 Miata is offered as a soft-top convertible and, in the RF, as a retractable fastback, with a power activated hardtop supported by handsome rear buttresses. There is only one engine available on the MX-5, a 2.0L 4-cylinder that makes 155 horsepower. Power is sent to the rear wheels via a 6-speed manual transmission, though a 6-speed automatic optional. 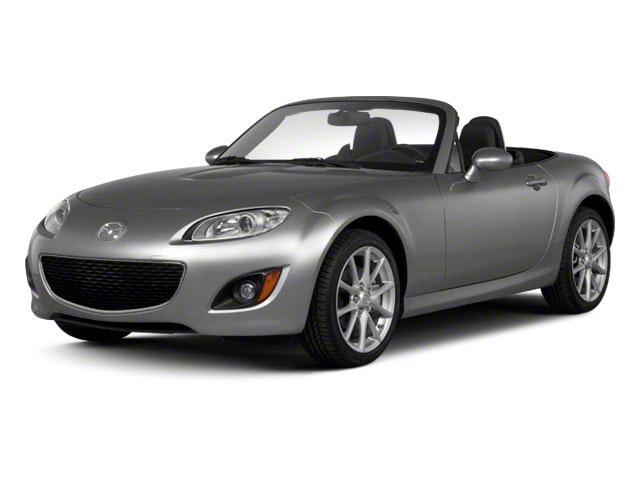 Thanks to the car's light weight, 155 horsepower is still be enough to get the Miata to 60 mph in under seven seconds. The most impressive result of the car's light curb weight might be the fuel economy though. The MX-5 convertible is rated at 26 mpg in the city, meaning that owners can really have their cake and eat it too. The MX-5 convertible comes in three different trims -- Sport, Club and Grand Touring -- while the MX-5 RF is offered in Club and Grand Touring. The Sport trim comes fairly well equipped this year, a welcome change giving drivers a better balance of comfort while emphasizing focus on the fun of driving. Standard features on the Sport trim include 16-inch alloy wheels, 7-inch full color touch screen, keyless entry, cruise control, sporty cloth-upholstered seats, air-conditioning, a 6-speaker stereo with USB input, Bluetooth connectivity, a leather shift knob and a manual folding soft top. The Club trim is more about performance and should be the choice for anyone who wants to take their MX-5 to the track. The Club trim comes standard with 17-inch wheels, which are shod in wider rubber than those on the Sport trim. The Club trim also includes Bilstein shock absorbers, a limited-slip differential (manual transmission only) some additional aero parts and piano black exterior mirrors. 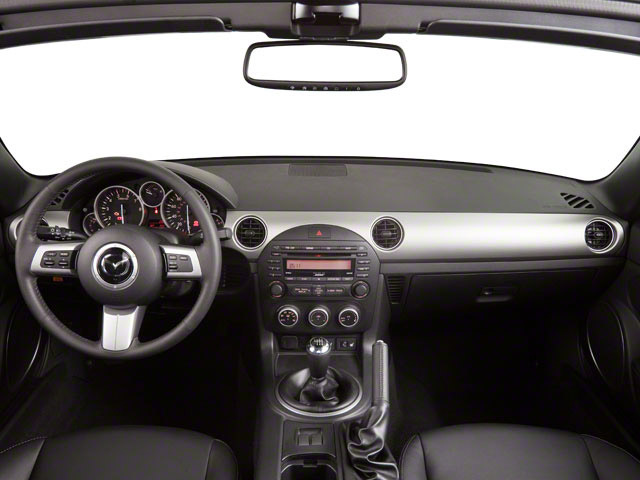 Also included with the Club trim is a Bose 9-speaker stereo complete with 7inch touchscreen monitor. A set of lightweight, forged BBS wheels covering uprated Brembo brakes with red calipers are optional on the Club trim. 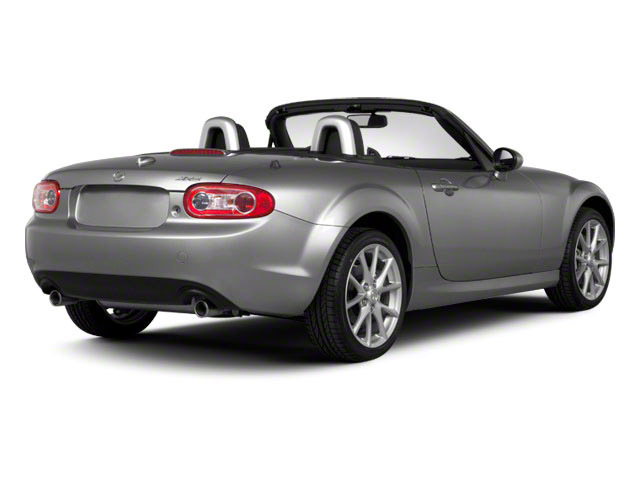 The Grand Touring trim adds just a dash of comfort to the otherwise very focused Miata. Leather seating is included as standard with optional Auburn Nappa leather. Automatic climate control, a built-in garage door opener and satellite radio are also included. A host of safety options include a blind spot/lane departure warning system, rain sensing wipers and automatic adaptive head lights. The MX-5 appeals to so many buyers because of its relative attainability, and the bang-for-buck return it offers. With a base price starting just above $26,000, the MX-5 Miata is one of the least expensive convertibles on the market, and it undercuts rivals such as the Subaru BR-Z. Meanwhile, the new offers stunning good looks with its revolutionary RF "retractable fastback" form, while still slotting in for under $32,000.